Are you getting enough Omega-3s? Find out here. There are some things your body just does for you like breathing or digesting your food and sometimes your body could use a little help. Getting enough Omega-3s is one of those times. If you’re not already familiar with Omega-3 and Omega-6 Essential Fatty Acids (EFAs) and why they are absolutely essential to maintaining your health, here’s the low-down. Omega-3s and Omega-6s are vital nutrients everyone needs everyday for their entire lives. It’s not something we can opt out of. Our bodies can’t produce EFAs on their own. That means our bodies rely on US to get it what it needs through food or supplements. The benefits of both types of EFAs are HUGE for our health. Some of the benefits of Omega-6s include supporting brain function, bone health and helping to regulate metabolism. Omega-3s support brain & eye function/development, integrity of our cell membranes and help to counter inflammation. Important stuff, right? Now that we know why we need them, the question is, “How many?” The key is to consume EFAs within the proper ratios. The reality of our modern diet is that our food supply is packed full of Omega-6s, especially if you love foods like French fries or doughnuts. Most of the American population is estimated to not have enough Omega-3s in their daily diet. In fact, not getting enough Omega-3s is the 8th leading cause of preventable death. Since Omega-3s are not as easily accessible as Omega-6s, we need to be proactive about adding them to our diet. There are a few ways to get the proper balance. To start, you need about 1,000mg of Omega-3 EPA/DHA per day . Secondly, you’ll need to decrease your consumption of Omega-6s. Your ratio of Omega-6s to Omega-3s needs to be about 4:1. To get you eating more Omega-3s, we started a list of foods containing Omega-3s with seafood and plant-based options and ways to use them. Next time you’re at the grocery store, toss a few items from the list into your cart. 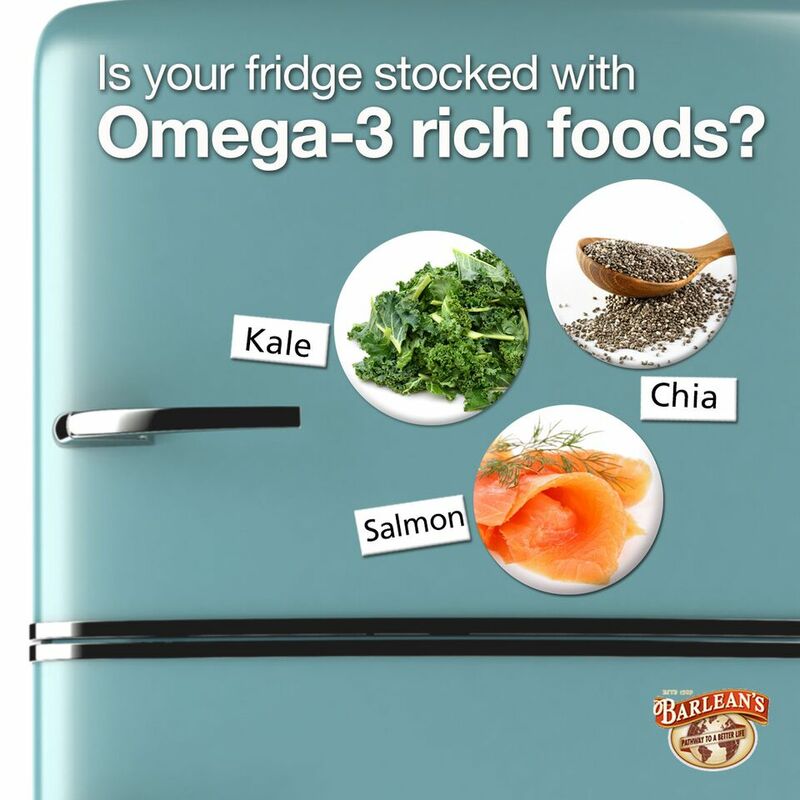 Before you know it, you’ll have made Omega-3s a regular staple of your diet. Journal of Public Library of Science Medical Journal, July 2009.